One of our most popular integrations is getting a major upgrade! Starting today Sonos owners will be able to enjoy an updated experience in the Yonomi App, complete with added features, snappier response times, and improved reliability. 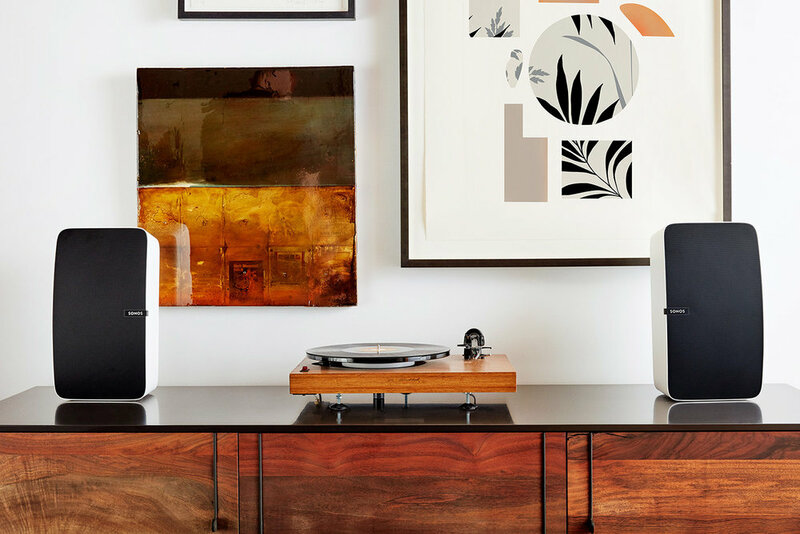 Most notable of all is the new ability to control your Sonos system from anywhere in the world. Before, Yonomi users needed to be connected to the same WiFi as their Sonos system to properly run their smart home Routines. 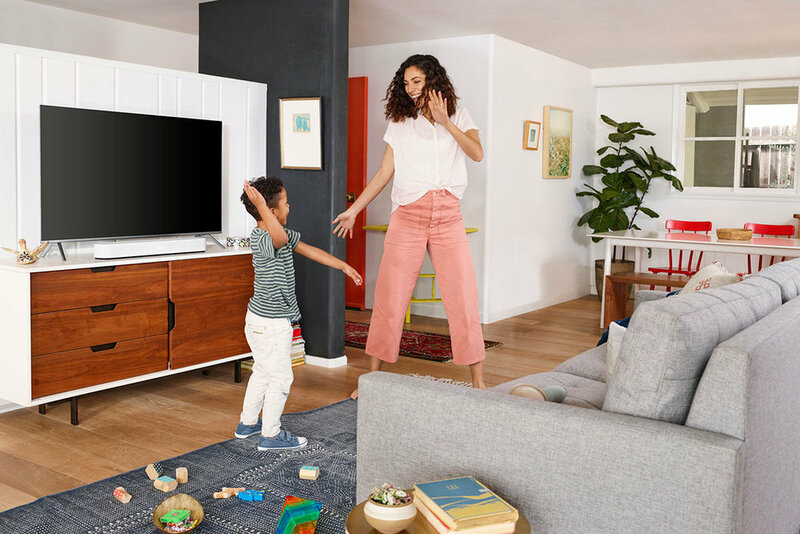 Now, Yonomi connects with your Sonos devices securely via the cloud for a faster, more reliable response—no matter whether you’re on the couch or touching down on the runway at London Heathrow. With more than 100 compatible smart home devices, integrations with Amazon Alexa, Google Assistant, and Siri Shortcuts, and an easy-to-use Routine builder, the Yonomi app remains the best smart home experience available today for Sonos. While much of the Sonos experience will feel exactly the same to Yonomi users—including all of your existing devices and Routines—everything under the hood is completely new. We’ve rebuilt the integration from the ground up to run via the cloud using Sonos’ new Control API. As an official Works With Sonos partner, Yonomi works closely with the Sonos team to pilot new features and ensure the best experience possible for users. The Sonos Control API, released in 2018 as part of the company’s new open developer API, is designed to provide a more seamless connection between Sonos devices and third-party apps than is possible over a WiFi connection. While Yonomi was one of the first smart home apps to integrate with Sonos way back in 2014, we can confidently say there has never been a more satisfying experience for Sonos owners looking to automate their sound system and sync it with all their other smart home devices. While nothing will change with your existing Sonos devices or Routines in the Yonomi App, under the hood are a number of major improvements. 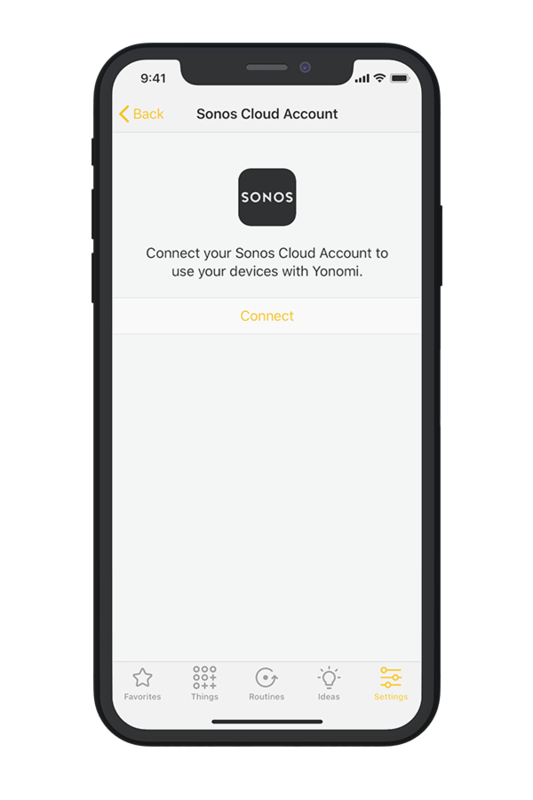 To access the latest features in today’ update, simply connect to your Sonos cloud account through the Accounts & Hubs page in the Yonomi App. First, refresh your existing devices and accounts by tapping on the Things tab and pulling down until the spinning wheel appears. You’re ready to go! Start by creating a new Wake Up Routine that plays your favorite news radio station after your morning alarm goes off.